My family's life is busy. Being a mom to four kids there is always something to do or somewhere to go. Some days I feel like I live in my car and trust me it looks the part. I have been noticing over the past year that it has become increasingly harder to just get up and go. Makenzie is topping the scales now at nearly 40 pounds and is getting taller my the day. This increase in weight and height is a REALLY great thing unless you are talking about traveling with a kiddo who can not help at all. 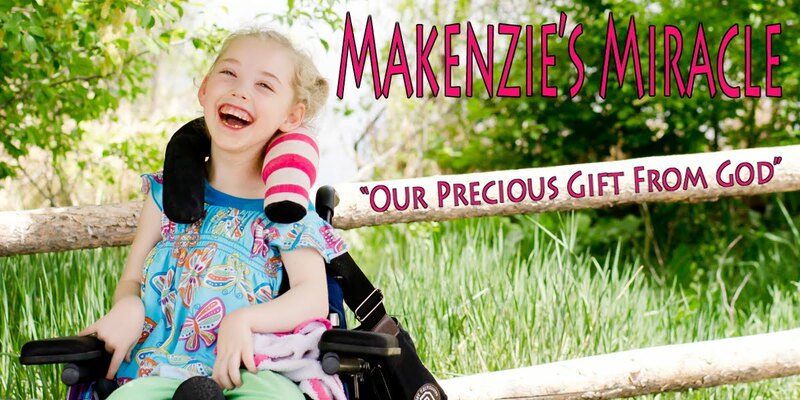 It has become increasingly difficult to get Makenzie and all of her equipment around town. There are many times that I just don't go somewhere because it is to much work. For example, today I has an appointment across town. I had loaded and unloaded Makenzie and her chair 3 times and wrestled her into the car seat twice. We hit some traffic on the highway and ended up taking a detour onto the side streets. I found myself staring at my eye doctors office building. I really needed to just stop in to grab a new box of contacts but the thought of taking the wheel chair out of the car, getting Makenzie out of her car seat, lifting her into her wheelchair, positioning her hips, strapping her in, walking into the doctors office for 5 minutes, lifting Makenzie out of her wheelchair, lifting her into the car, and wrestling her back into her car seat, was too much to bear so I passed right on by. At this point one in, out, in, out series is all my body can hand at one time. I have known for a long time that our family would need a modified van. I really was hoping to wait a few more years before we bought one though. However, to keep Makenzie safe and prevent my body from potential injury and the inability to care for Makenzie caused by injury we have decided that purchasing a modified van is something that needs to be done as soon as possible before I get hurt instead of after. Me, Consumer Reports, and Kelley Blue Book have become best friends. I have learned about the safety ratings for all the major vans that companies convert. I have called about a dozen conversion companies. I have learned the difference between direct dealers and the dealer network. I have found out that crash tested does not always mean after modifications. I have familiarized myself with the pros and cons of both the side and rear entry conversions. I now know that there is a 10", 11", 12", and 14" floor drop depending on the company and the model. 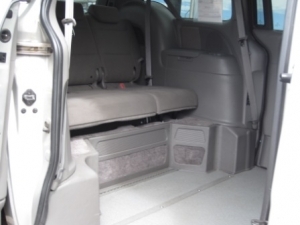 Not to mention there is also the option of a full lowered floor and a center lowered floor. I have learned that Honda has the best safety rating, has the widest conversion, and is half the price to insure then the Dodge. I am on information over load. A few days ago I had the dealer bring a long channel rear entry van to my home. On paper I was convinced that the rear conversion was going to be the best fit for our family. Wrong. The biggest issue I have with the rear conversion is the fact that the only belt available to the wheelchair user is a lap belt. While the chair is fastened into the floor of the van, and there are straps holding Makenzie into her chair these straps are not intended for the force of a crash which would potentially leave her whole upper body unprotected. The other major issue I had was how much work it to to get the chair secured into the van because of the seat on either side of the wheelchair tie downs. It really was quite the process. So today I decided to go down to the dealership. I looked at more conversions then I can count. We put Makenzie in the side entry and the sales person showed me how the seat belt works on the side conversion. Lap belt.....check. Shoulder belt...... check. A much happier mommy..... double check! We then looked at some specific vans and I think we found a winner. It is a Honda with the right conversion and very low miles. It is on consignment and as of tonight the woman who owns it is considering dropping the price a bit to make it more affordable for our family. We are also still in the process of asking for some financial help to purchase the conversion because insurance will not pay for this expense. There are many doors that still need to be opened for this to work but I am at peace. One week ago I thought it would be another 3 years before a converted van would be a reality. Today the process is in full swing and I am a bit overwhelmed. I have learned not to push things but this is all moving so fast and I started to feel confused about if I was pushing or if it was open doors so as I was driving home from the dealership I had a long talk with God and peace overflowed. I love my current van. It runs great and does everything I need it to do when it comes to getting from point A to point B. Other then oil changes and a new headlight, in over a year and a half it has required no maintenance. It is a good car but it just doesn't do what I need it to do when it comes to Makenzie. God is opening doors. His timing is right and if this is the right van for our family it will all fall into place. Pray for God's wisdom and blessing as our family moves forward with this huge decision. Pray for open doors. With the side conversion, how are you going to ensure that you always have access to it? I am just considering car parks, and people parking next to you which could result in lack of access. Also, for help with expenses - have you ever considered the Sparrow Club? You are exactly where we were this past summer - our daughter weighs just over 40 pounds and it was getting harder to get her in and out of her seat and put her in her chair. I too avoided going places just because of all the work involved. 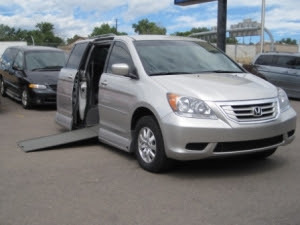 We had been praying for a long time for an accessible van and this summer we finally made the purchase. God truly lead the way and everything worked out with our finances. Our van is truly a blessing for our family!